Water is supplied to your home from two locations. 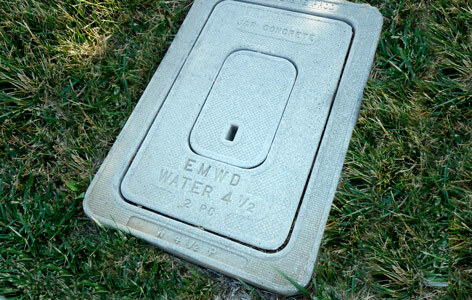 The first location is from the city, located at your water meter box. This is a cement box commonly located at the city sidewalk. (See Photo). From here, a water line is run under the landscaping or cement to the water service, the second location. The water service is located up at the front of the house where your hose-bib and/or spigot is located, in older homes. If your home is newer (2000+) you can find your water service in the garage. The water pipes, mostly copper [2005+ Pex plastic] are then distributed throughout the home in your walls, ceiling, attic and slab. Water is supplied to every plumbing appliance where you use water in your home. Water flex lines connect to the water pipes in the wall and supply water to plumbing fixture, i.e. toilets, sinks, dishwashers and washing machines. An angle stop is a water shut-off device that separates the water flex line from the water pipe, this is used to shut off the water to the fixture in case of a leak. For example a sudden toilet overflow, toilet leakage, or even a leaky faucet. How can you, the homeowner, detect if you have a leak before the awful nightmare of coming home to a flooded house? At your water meter box, there is a clock like mechanism, which measures units of water being used for water utility companies when calculating your monthly water bill. Any time water is being used the meter spins, (older meters red triangle and newer digital). (See Photo) To check for a leak ensure all water is off inside the home, sinks, toilets, shower, washers, dishwashers, pool pumps, sprinklers and hoses. Go out to the meter box and check to see if it is spinning; if not your plumbing system is safe. If it is moving then you may have a leak. Start by checking to see if a toilet is constantly running, this may be an indication that the fill valve has failed and needs to be replaced. Or check the yard for a small leak at a sprinkler head. If none of these minor things seem to be leaking, you may have a pin-hole leak in your plumbing lines in the house or even a leak in the main water line pipe in the yard. If this is the case we recommend a Leak Detection. A.L.L. offers leak detection services using state of the art electronic sound equipment. Our equipment can detect leaks within copper (or metal) water supply lines that are not visible to the eye. Our technicians are trained not only to use the sound equipment to detect leaks, but by using hands-on specialized techniques learned from vigorous training courses. 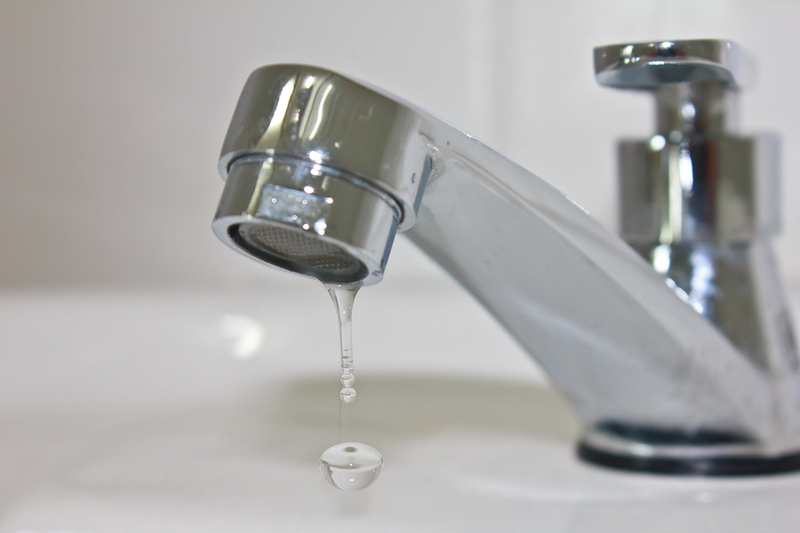 A leak that goes undetected can cause serious damage to a home and personal belongings. Leaks interfere with our daily routines and can be very nerve-racking. Here’s a quick tip: Approximately once a year walk through your home and look at all plumbing appliances and fixtures check for leaks or signs of leaks, check flex lines and angle stops, shower enclosures, and water heaters. 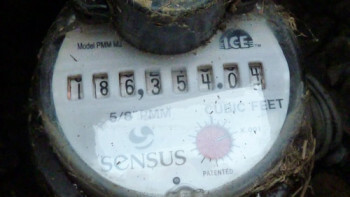 Check the meter and test the irrigation system to check for sprinkler leaks.